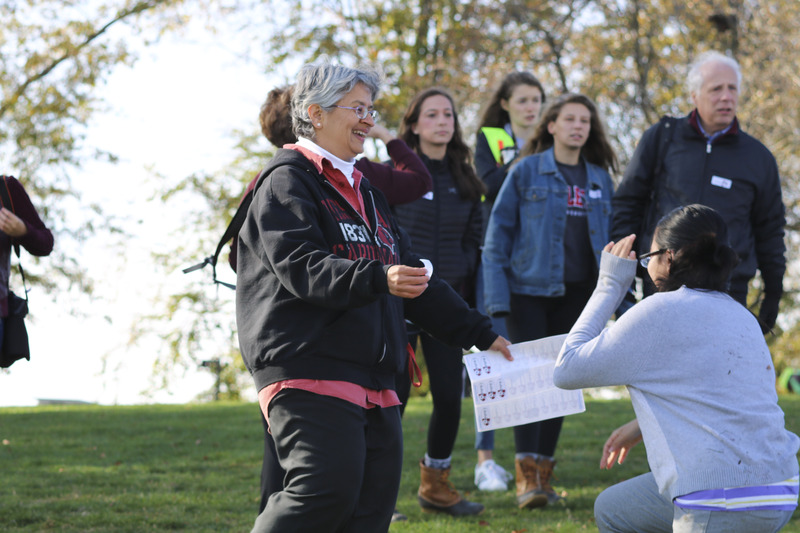 On Saturday, Nov. 4, hundreds of students and their family members, in addition to a number of residents from the Middletown community, rolled down Foss Hill in an attempt to break the Guinness World Record for the number of individuals rolling down a hill within the span of an hour. With a final count of 520 people within the first hour and 700 within two hours, the University missed the standing record of 600 people within one hour. 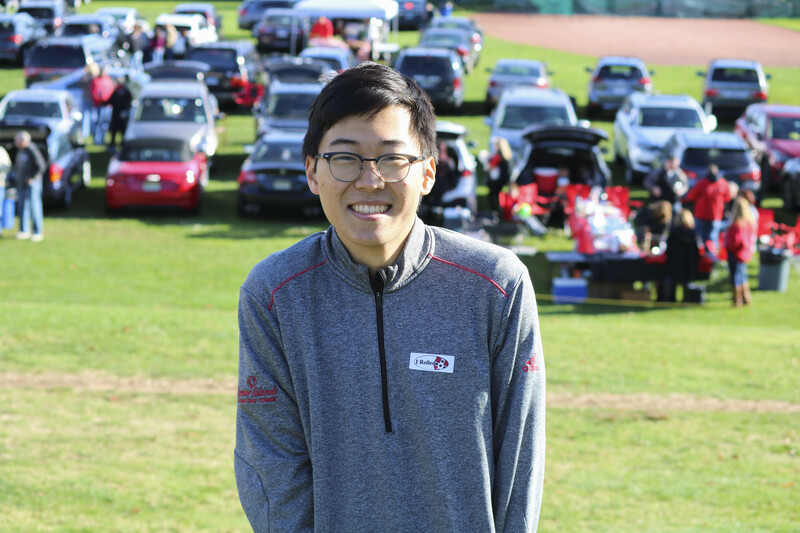 However, the event was still considered a success by many participants, as well as the event’s sponsor, Wesleyan Mathematics and Science Scholars (WesMaSS). 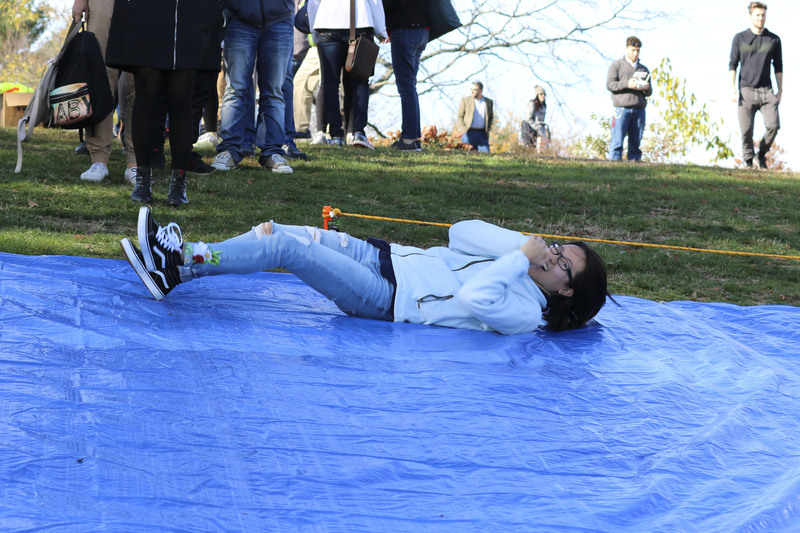 This event was the first large-scale event hosted by WesMaSS, and took place from 10 a.m. to 12 p.m. Rollers walked up to the top of Foss Hill and entered into three lines, which led to large blue tarps that the participants rolled down. 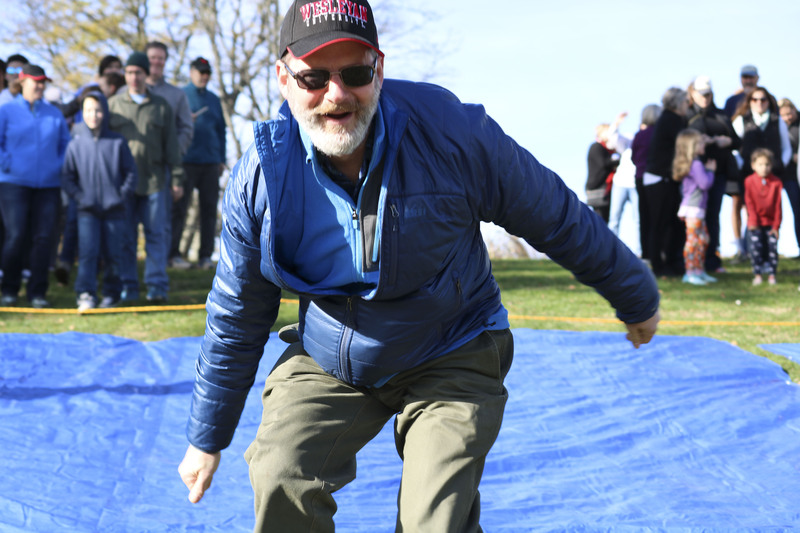 At the bottom of the tarps, participants were helped up by volunteers and given stickers that read “I rolled!” Many participants stayed in the vicinity to watch others roll down the hill. 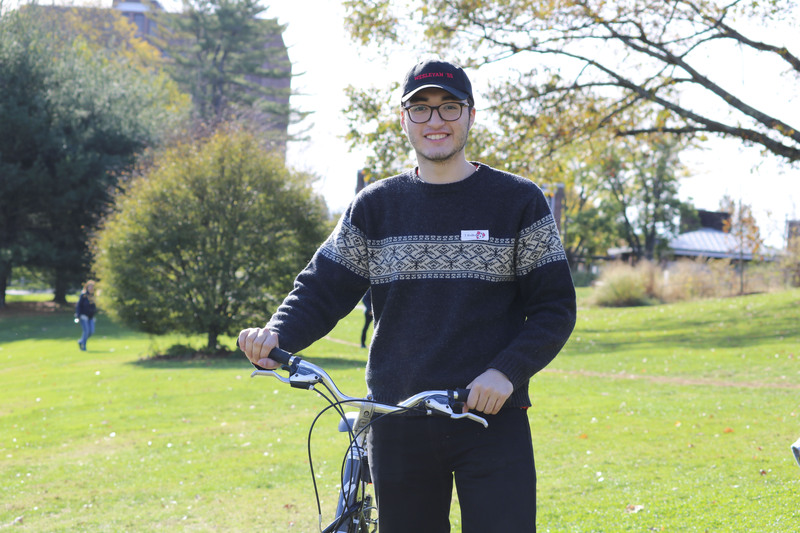 The idea for the event came from within the program WesMaSS, originating with a sub-group which was tasked with identifying a potential world record to attempt to break through the aid of the University and Middletown communities. 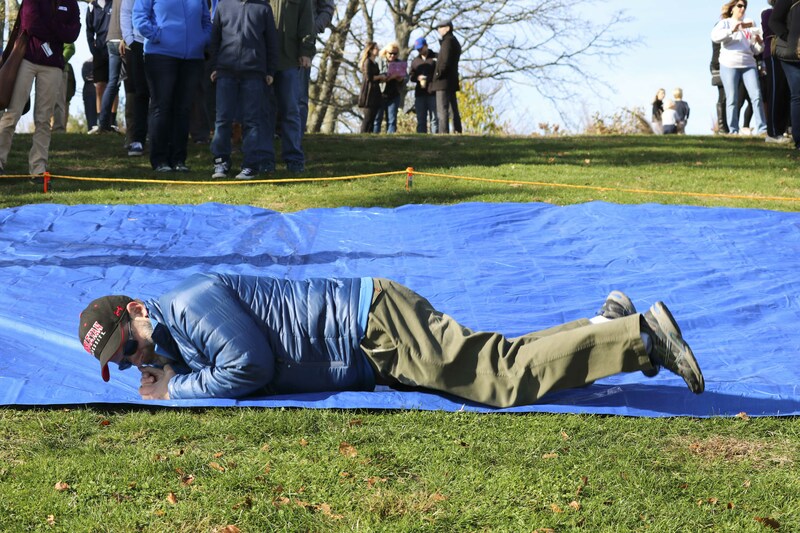 Because Foss Hill is considered an iconic University landmark, the group decided that the number of people rolling down a hill within a certain span of time would be a feasible and fun record to break. After researching the logistics involved in breaking a record and contacting Guinness, a plan took formation. Much of the planning occurred in the spring of 2017, and then later this fall. 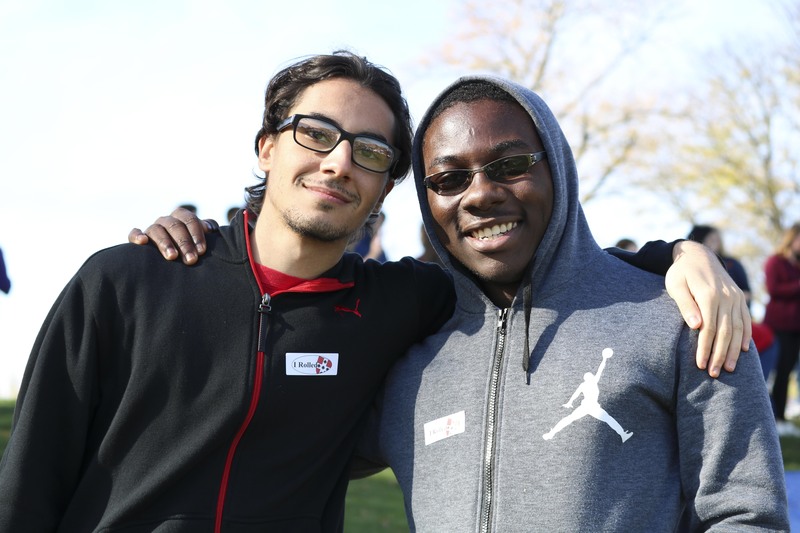 Melisa Olgun ’20, a member of WesMaSS, was an instrumental member in the process of planning this event. 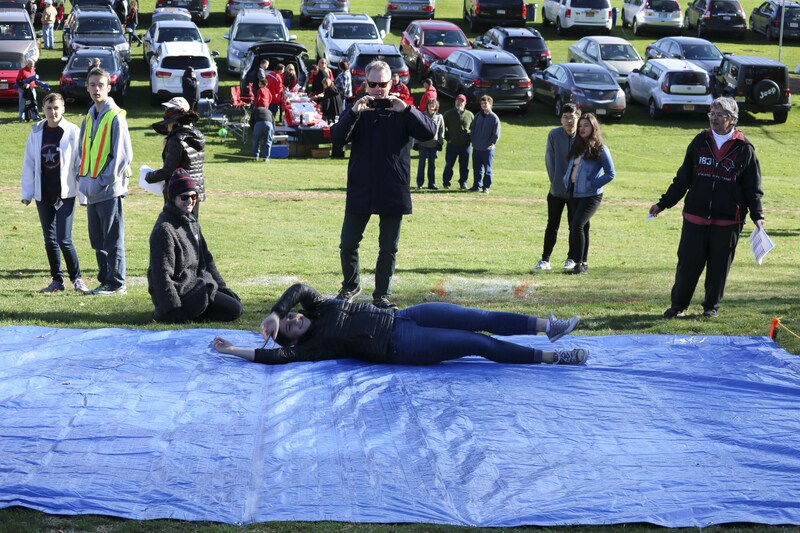 Additional rules included positioning three cameras around the tarps and pointing them towards the rollers, with one positioned at the end of the tarps, one filming from the side, and one located at the beginning. A present representative from Guinness was not necessary for the record to have counted, as alluded to by Olgun, as two professors could sign off that the record had been broken. Volunteers who tallied the number of rollers could only count up to fifty each, and as such, twelve stewards were responsible for counting. Additional volunteers helped direct people where to roll, or helped them up off the tarp afterwards. In total, there were 25-30 individuals outside of WesMaSS assisting. Olgun noted that WesMaSS already has plans to attempt the roll again, potentially during orientation of 2018. Likewise, though the event didn’t culminate in a record-breakage, she was still proud of how it turned out. 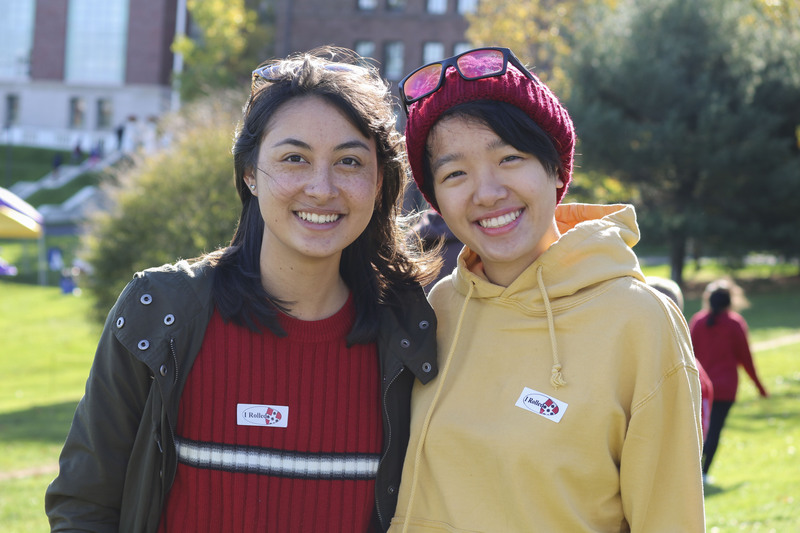 Samantha Schreiber ’19, who is a member of WesMaSS and came to show her support for the event, explained that despite the fact that the record wasn’t broken, she too still felt it was worthwhile. 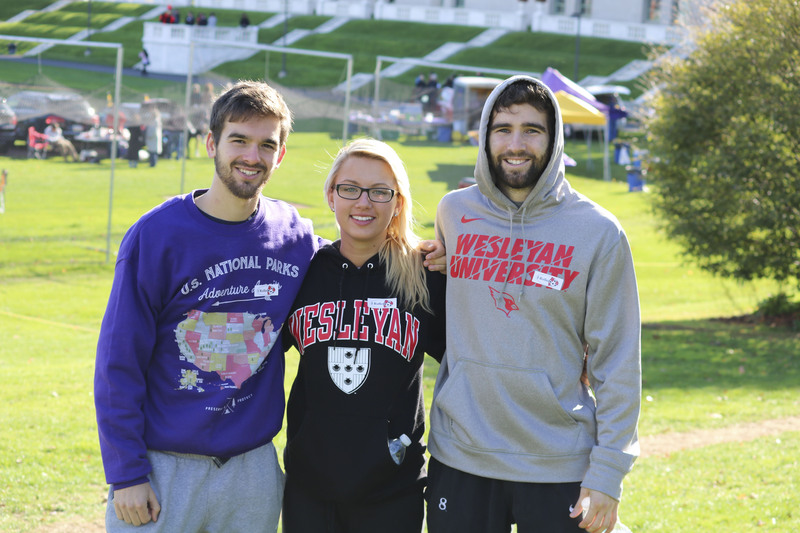 “Although we didn’t actually break the record, it was a great way to raise awareness for WesMaSS and to just get our name out into the community because it’s technically still a pilot program,” she explained. 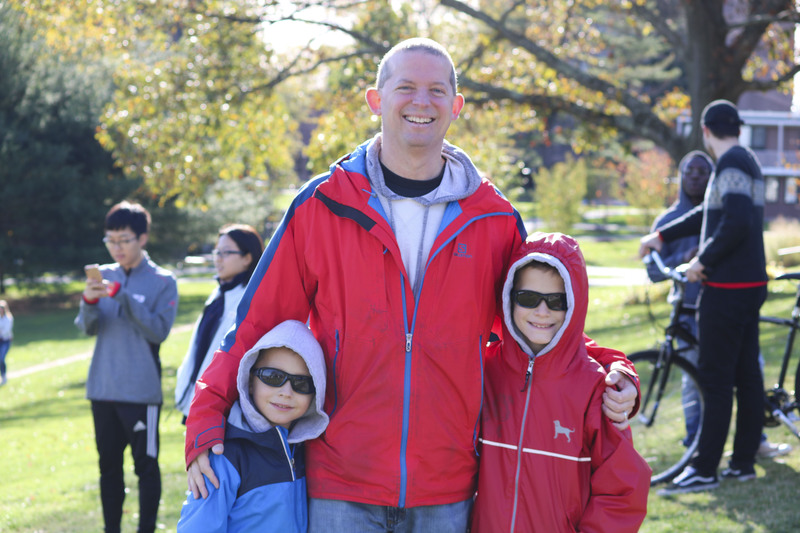 Multiple participants noted their excitement at having participated, including the owner of WesWings, Ed Thorndike ’89, who later tweeted about the event, in response to a tweet from Olgun. The grandma from Dallas in question is Anne Snyder, who came to the University with her husband to visit their granddaughter Grace Snyder ’20. She explained how enjoyable she found the roll, particularly because it was so inclusive. Grace Snyder, Anne Snyder’s granddaughter, also rolled at the event and enjoyed her experience. 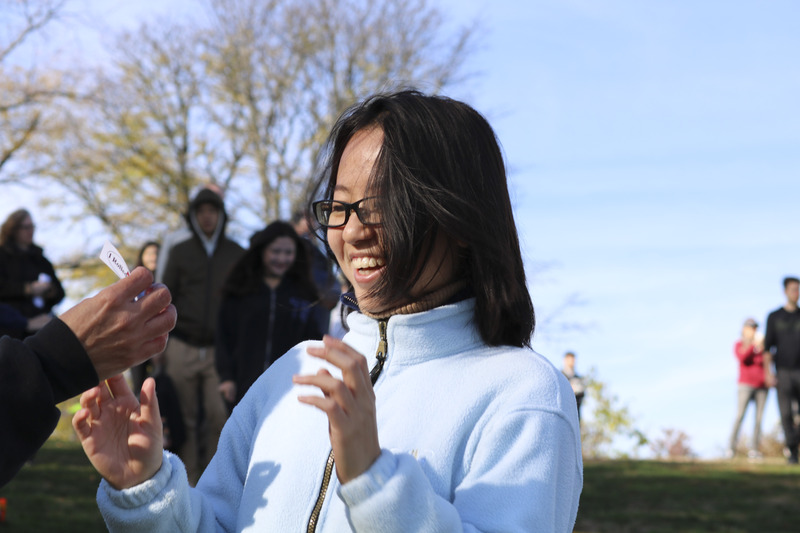 Another roller, Meera Joshi ’20, noted how much she enjoyed her experience. Anne Snyder, too, noted the event really built a sense of community. Emmy Hughes can be reached at ehughes@wesleyan.edu or on Twitter @emmyughes.